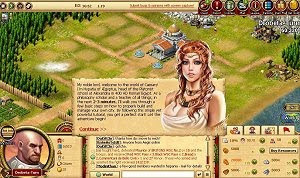 Caesary is a free game that can be played in your browser. Start as a Consul of the Roman Empire and rewrite history, bringing order back to Rome. Expand your city, recruit heroes, train devastating armies, conquer land and forge your empire. Battle other players and monsters with immersive real-time strategic combat as you rampage your way across a massive world map.